The cane toad (Bufo marinus) was introduced to Australia as a solution to cane beetle pest affecting North Queensland sugar cane crops. 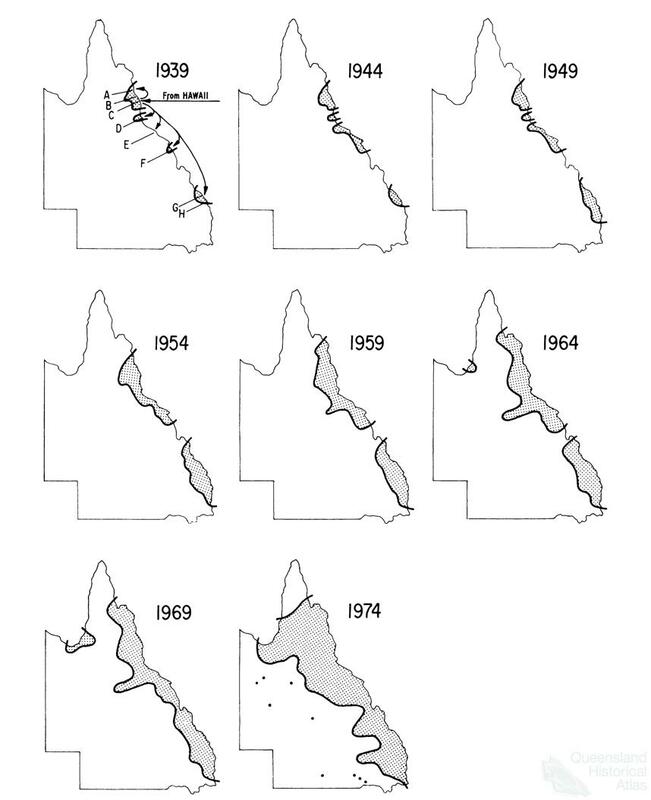 Following its release in Queensland, the cane toad created a path of ecological disruption as it travelled across the Australian landscape. But where did the giant cane toad come from? And where did it commence its Australian journey? On urban lawns in the suburbs of Honolulu giant toads hopped through the tropical night in search of food and a mate. On 1 June 1935 a jalopy stopped at many of these lawns. At each stoppage three men burst out of the vehicle and, avoiding the poison glands on the back of the toads, seized healthy toads and tossed them into a hessian sack. 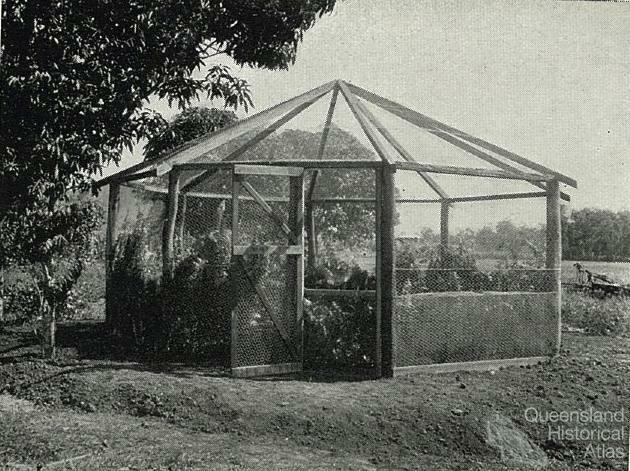 That night the men and the captured toads ended at the Hawaiian Sugar Planters’ Experiment Station. The three men were entomologists who worked in the sugar industry. Cyril Pemberton and Harry Dennison worked at the experiment station and knew the area well. Pemberton was a significant figure in the transnational pathway of the toad: he was responsible for introducing the toad to Honolulu from Puerto Rico. The third man was Australian Reginald W. Mungomery who worked for the Queensland Bureau of Sugar Experiment Stations (BSES) that was procuring toads as a biological control against cane beetles in the Queensland sugar cane fields. 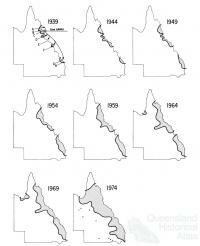 On that evening in 1935 the three men collected 102 cane toads - 51 females and 51 males. Mungomery packaged the toads into two cases, they measured one-and-half feet by two-and-a-half feet and ten inches high, and were finished off with a comforting filling of moistened wood shavings. The toads were sealed inside and placed on a boat to Australia. They left Honolulu on 3 June 1935 and arrived in Gordonvale, North Queensland, on 22 June 1935. After the three week journey the toads were thin and dehydrated. One of the males had died. The survivors formed the new Australian colony. In North Queensland a patchwork of sugar cane farms spread widely across the landscape. Looking from Cairns to Gordonvale the land appeared carved into different shapes forming a sea of green grasses. But in particular places the grass was brown and patchy and falling. In the Cairns region the soil suited the cane grubs. The high annual rainfall as well as the porous volcanic soil gave the beetles easy access to lay their larvae, who in turn ate away at the stool of the cane grass. The Meringa experimental farm, just outside Gordonvale, was the most northerly outpost of the BSES. 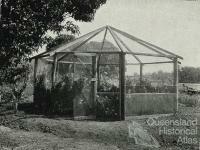 Mungomery was lead entomologist and James Hardie Buzacott his junior. When the toads arrived from Honolulu they feared they would not survive the cool months in North Queensland so Mungomery assigned Buzacott an important task while he was away. This pen was built in an octagonal shape which resembled a garden gazebo. It was covered with bird-mesh wire netting with an especially designed door to ensure that no toads could escape when the door was opened. The floor consisted of a concrete pond, with gradually sloping sides, in the centre of which was a fountain. The pool was filled with water and water hyacinth established in it before the overseas visitors were due to arrive. On 24 June the 101 toads from Honolulu swelled quickly when placed inside the comfort of their new Queensland home. On 1 July, only a week after inhabiting the gazebo, the toads laid eggs in long gelatinous strings which entangled themselves in the pond-weeds. Three days later the eggs hatched. These became the first toads bred in captivity anywhere in the world. In 1935, international representatives of the sugar industry travelled to Brisbane for the Fifth Congress of the International Society for Sugar Cane Technologists. At the previous conference of the Society, held in Puerto Rico in 1932, Raquel Dexter read a significant paper on the use of the Giant American toad as a biological control to stop cane beetle infestation in sugar crops. The head of the panel when the paper was read was Cyril Pemberton who was so impressed with the paper that he returned to Honolulu with two cases of toads. It will be obvious that if breeding can be carried out successfully under confined conditions there will be considerable saving in time and labour in the collection of small toads for distribution to other centres, to say nothing of the decrease mortality during this early period of establishing the toad in Queensland, owing to the exclusion from the pond of predatory water beetles and larvae of different kinds, snakes, birds, etc., which are sure to prey on either the eggs, tadpoles, or the toads themselves. 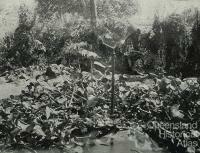 On 19 August 1935, a week before the conference commenced, Mungomery and Buzacott released 2400 toads into the Little Mulgrave river and other sites around Gordonvale. At the conclusion to the conference a ‘Special Train’ was organised and the 62 overseas delegates together with a number of local delegates were taken on a tour of the Queensland cane fields. They saw first-hand the Queensland sugar industry at work. In the Cairns district they went to the Meringa research station. 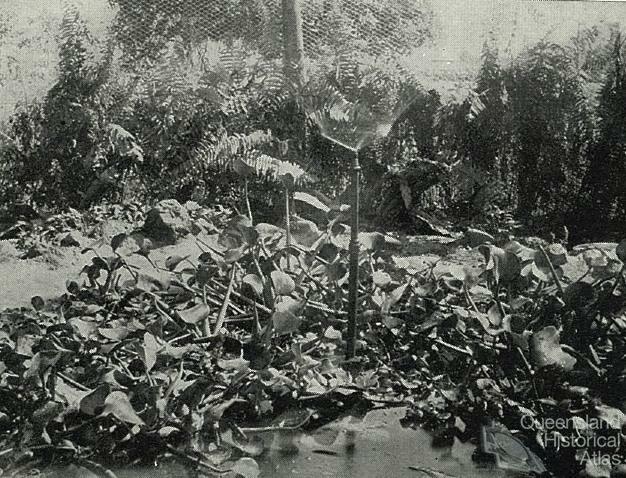 At midday on 13 September 1935 the international delegates surveyed the toads in the gazebo. Later in the day F.W. Bulcock, the Queensland Minister for Agriculture, officially opened the Meringa research station. Upon conclusion of the tour, the train travelled back to Brisbane where the American delegates, Cyril Pemberton among them, had four hours to transfer their things to the mail train that took them to Sydney. In Sydney waiting for the steamer home, Pemberton met his friend Walter Froggatt, an Australian entomologist, and spoke positively about the release of the toad. Froggatt, however, was sceptical and wanted precaution to be taken. Soon after the meeting with Pemberton, Froggatt published the first paper to publicly dissent on the toads release. Froggatt concluded: ‘This great toad, immune from enemies, omnivorous in its habits, and breeding all the year round, may become as great a pest as the rabbit or cactus’. Froggat successfully lobbied the Commonwealth government Department of Health to take precautions and they banned the further release of the toad. In 1936 a major political confrontation occurred over the release of the cane toad. The BSES informed the Queensland minister for agriculture, Bulcock, of the ban and he sent a recommendation on behalf of the toad to Queensland Premier Forgan Smith. In turn the Premier sent a recommendation to the Australian Prime Minister Joseph Lyons. Newspapers in Brisbane and Sydney also entered the debate on behalf of the toad. Lyons overruled the Department of Health. In September 1936, as Buzacott remembered, ‘thousands of baby toads were released on what was Leoni’s farm in the Little Mulgrave (due to many ponds) and on many other grub affected farms.’ The cane toad, however, was an unsuccessful biological control for the cane grubs that continued to affect the sugar crops. The toad has become one of the most invasive pest species in Australia: poisoning native animals, outcompeting native frogs and causing major disruptions to sensitive ecosystems. And it has moved a long way from North Queensland – in 2001 it was found in Kakadu National Park and recent sightings place the toad in Western Australia's Kimberley Region. 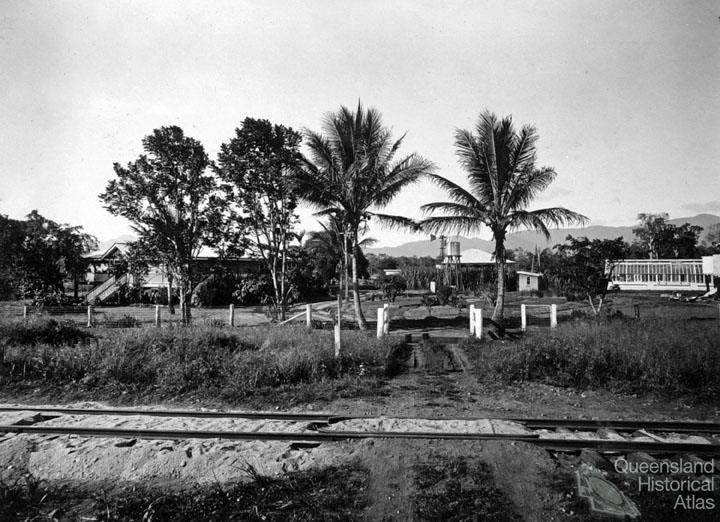 In the 1930s, at the insistence of sugar experts, the toad travelled from Puerto Rico to Honolulu and then onto Gordonvale. From its roots in the garden gazebo, the toad has travelled into northern New South Wales and is now hopping west on a major pathway across northern Australia.